I’ve been waiting for May 13, Jumping Frog Day, to roll round, so keen am I to relate a dastardly tale of plagiarism by a renowned teacher of ancient Greek. 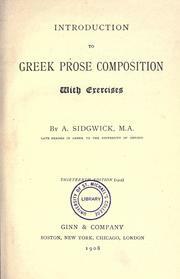 In his Introduction to Greek Prose Composition with Exercises (1876, but still in print), A. Sidgwick, who announced himself on the title page to be ‘Assistant-master at Rugby’, included a text for translation into ancient Greek entitled ‘The Athenian and the Frog’. 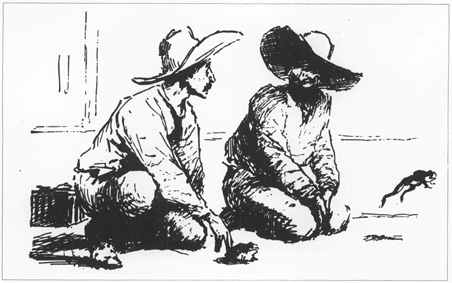 One man beats another in a competition to test whose frog can jump further by secretly feeding the opponent’s frog small bits of stone or shot to weigh him down. Sidgwick had taken every detail of the tale, besides substituting an Athenian and a Boeotian for two men in California, from Mark Twain’s short story Jim Smiley and His Jumping Frog. The first of many versions was published in the New York Saturday Press in 1866. 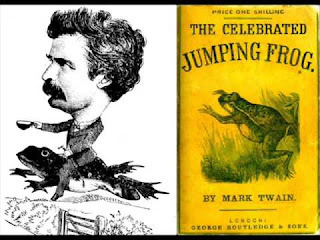 Its later incarnations were published under the title The Celebrated Jumping Frog of Calaveras County. When Twain met Sidgwick in 1899, the pedagogue admitted that exercise XXI on p. 116 of his famous textbook was borrowed from Twain. He had seen no need to say so in print. Twain was disappointed, but not because he hadn't been credited. When he'd first heard about the exercise in Sidgwick, he had inferred that there was an original Aesopic fable of this kind. Moreover, he decided it was exciting proof of the universality of frog-jumping competitions across human history, or at least in both ancient Greece and modern California, and published this theory in The North American Review, No. 449 (April 1894). 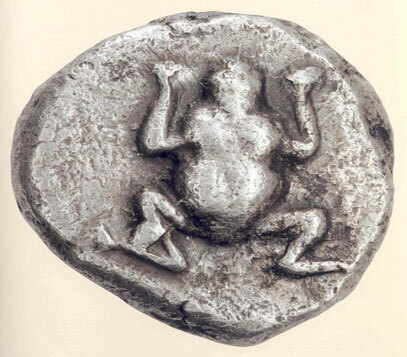 Sadly, there is no such ancient Greek fable extant, although maybe one was told on Seriphos, home to a particularly fine species of Anura Neobatrachia, portrayed on the island’s ancient coinage. Sidgwick however provided an elegant Greek translation of his own English text to help teachers. Unfortunately I was unaware of this when I composed my own version in 1977 at Nottingham Girls' High School, for which I recall Miss Reddish gave me an Alpha minus bracket minus. 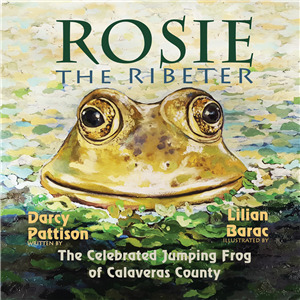 Apparently the world record frog jump was achieved in 1986 by Rosie the Ribeter, who jumped 21 feet, 5 and three quarter inches. But I still don’t know why Frog Jumping Day is celebrated on May 13th. Any suggestions would be gratefully received. 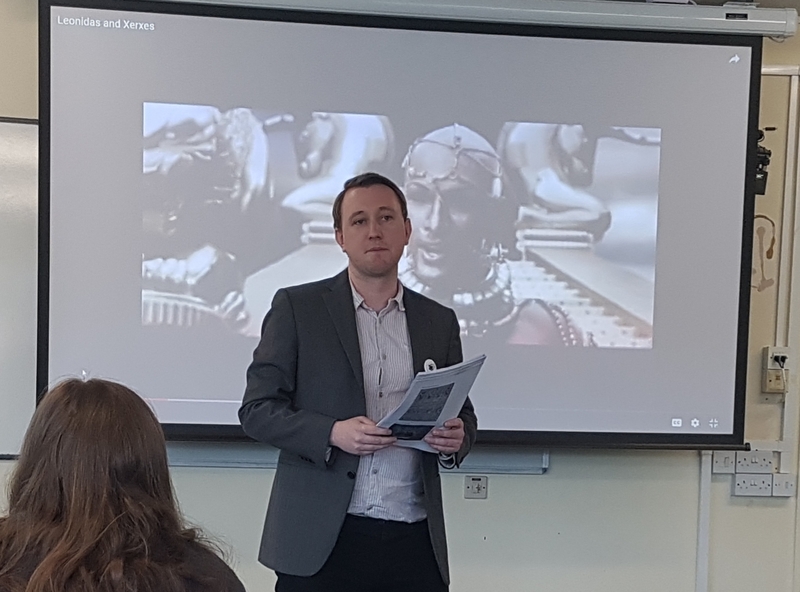 It is exactly a year since work began on ACE, the project I’ve been funded by the Arts & Humanities Research Council to lead, encouraging the introduction of qualifications in Classical Civilisation and Ancient History in secondary education across the nation. Huge strides have been made—I've visited many schools, and events to publicise the campaign have been run in Kent, Belfast, Glasgow, Bristol/Bath, Exeter and Leeds. We have identified plenty of teachers of other subjects keen to give the ancient world a go. This week we went to Swansea, crucial to my previous (related) project, Classics and Class in Britain. It was in the South Wales Miners Miners’ Library that colleague Dr Henry Stead and I became aware of the miners’ extensive reading in classics and ancient history. 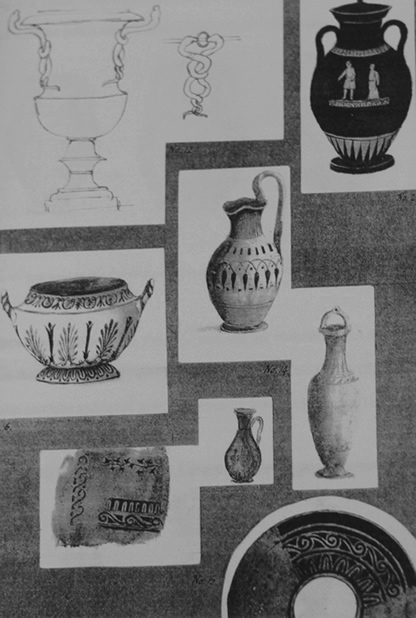 And the Swansea Museum houses several of Lewis Llewelyn Dillwyn’s famous line of inexpensive ceramics imitating ancient Greek models, produced in his Cambrian Pottery, in the mid-19th century. Our tireless partners at Swansea University bused in dozens of teenagers from all over the region to think about ancient Greece and Rome for a day. Did women in Greek myth get out of the kitchen/boudoir into heroic action? Which city had the coolest foundation tradition—Athens or Rome? And is the laughably racist depiction of Xerxes in the movie 300 true to the ancient Greeks stereotype of Persians? I got to retweet my first ever text in Welsh, celebrating the idea of Classics for the Many not the Few! Best of all was the keynote speech by Christopher Pelling, retired Regius Professor of Greek at Oxford, who honoured us by returning to what he always calls God's Own Country. He confided in us about growing up in Cardiff and eventually deciding to be a scholar/teacher rather than a lawyer. Fascinated by modern as well as ancient history, he gradually became aware that the ancient world could be used for good causes, like fighting tyranny (as in many productions of Antigone) or very bad ones, like fomenting hatred (Enoch Powell quoting the Aeneid in 1968). 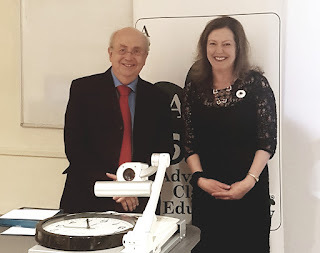 Next week the ACE event is at Reading, and both the project’s Research Fellow, Dr Arlene Holmes-Henderson and I are speaking at the annual conference of the Historical Association, hoping to persuade hundreds of history teachers that introducing Ancient History or Classical Civilisation can only benefit everyone in their schools and 6th-form colleges, the world, the universe and space. Between now and early July our partners in Warwick, Nottingham and Durham are also running events. And even better is the news that Arlene will be continuing in her role, at King’s College London, until at least 2021. 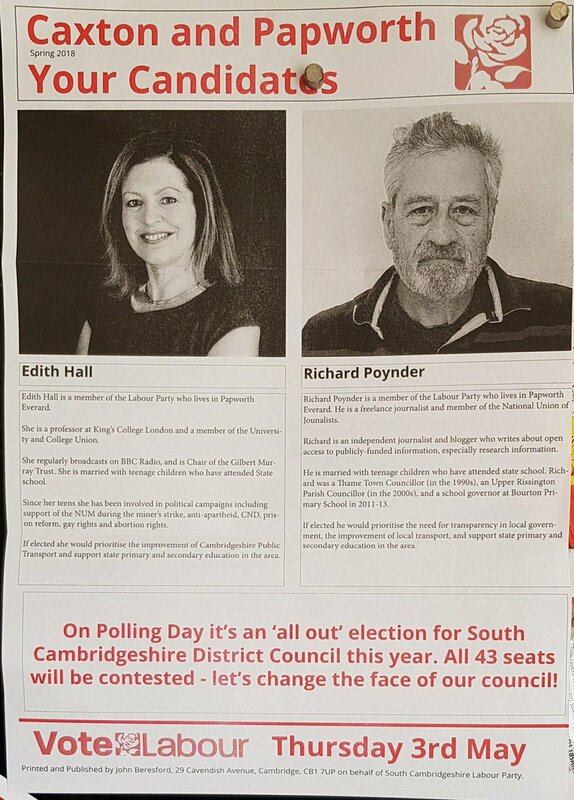 The campaign continues. To quote Freddie Mercury in Welsh, Peidiwch â rhoi'r gorau i mi nawr! DON’T STOP ME NOW! outside his home at Trier was the very material Black Gate. exactly the time when Rome Two, Roma Secunda, ‘Roman Trier’ was rediscovered. 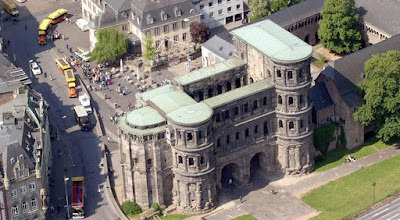 his childhood as Trier’s Museum of Classical Antiquities. the time when feudalism became the dominant mode of production. himself to the position of autocrat of the Roman world." 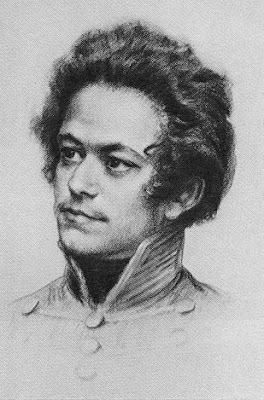 How, he ponders, are people so easily deluded by cynical leaders? Well, in election weeks that always seems a good question to me.